A choreographer is an innately imaginative craftperson motivated by music or a muse, or both. A choreographer takes the dance vocabulary and manipulates it, inverting and melding traditional steps with uniquely inventive ideas to create something fresh and new. I am not a choreographer. Sure, I’ve had a few choreographic experiences: Two pieces for students at the New York State Summer School of the Arts; several collaborative ballets – I stress the collaborative element – with a former teacher and an immensely talented group of professional dancers (including my vastly more imaginative husband); a Central Pennsylvania Youth Ballet An Evening at the Barre gala; and a number set to Rossini’s “William Tell Overture” I recall presenting for my patient parents in our living room as a child. This particular adventure began last year, when Marcia (Dale Weary) told me that someone attending a CPYB studio showcase had lamented the absence of the school’s younger students. Watching our smallest dancers perform onstage in June Series, I appreciated how special it is to see these beautifully trained children on a program with their older, more advanced counterparts. In August, I mentioned to Alan Hineline, Director of Artistic Programming, that if Marcia ever wanted a new ballet specifically for children, I would be happy to put something together. A month later I was surprised when Alan asked what music I might use for a ballet. I told him I had been listening to a piano arrangement of a suite by Gabriel Fauré. Alan felt it was a suitable choice for children, and he and Marcia invited me to contribute to Choreoplan 2017, CPYB’s 2-week program giving students the opportunity to work with choreographers. 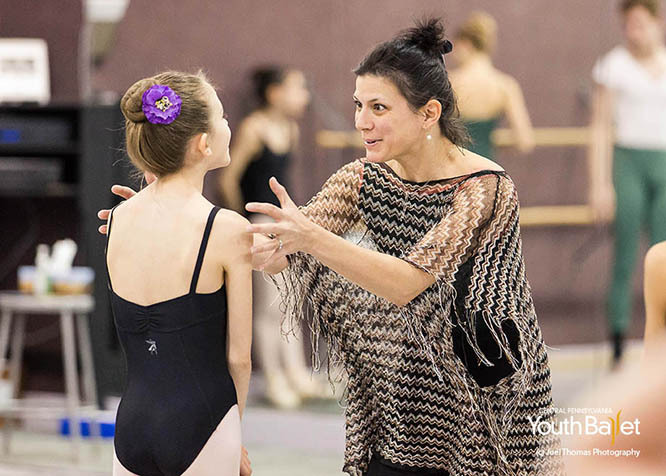 Amanda Edge encouraging a student during ChoreoPlan 2017. I was excited and a little nervous. The other three choreographers, chosen from a pool of applicants, had much more experience than I, and I didn’t want to let Marcia down. We began, and as the days flew by, the kids (average age: 10) learned quickly. I was fortunate to have Rose Taylor-Spann, CPYB’s Children’s Division coordinator, in the studio as ballet mistress. Fauré’s composition evokes all of this in me. Ballet is ephemeral, as its demands on the human body dictate a limited lifespan. However, any void I experience since my retirement from the stage is filled to overflowing with the talent and heart of our students. In the end, Marcia was very pleased. The dancers performed beautifully in the studio presentation. They made me a huge card, and we took a picture to commemorate our shared adventure. Epilogue: The adventure continues. Today a rehearsal of the ballet appeared on the schedule. It turns out that “Saudades” will be given a performance at this year’s June Series. 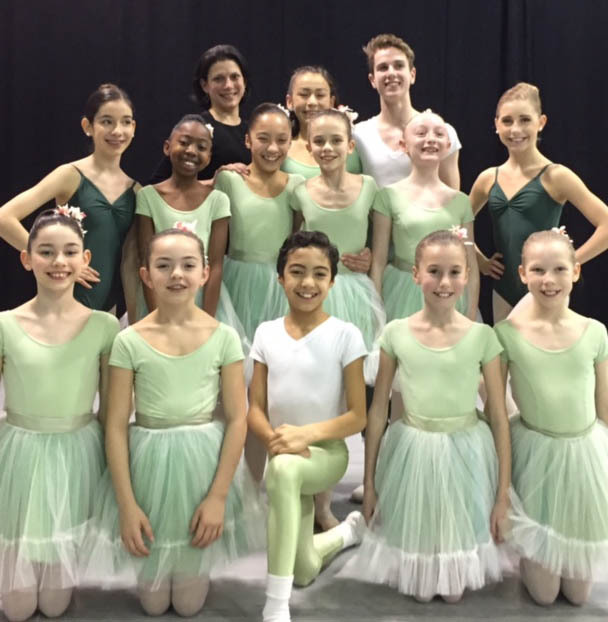 I’m thrilled for our ballet, and I hope to see you at the show!